← Horse back riding in Punta Venado! Catamaran Cruise to Isla Mujeres! 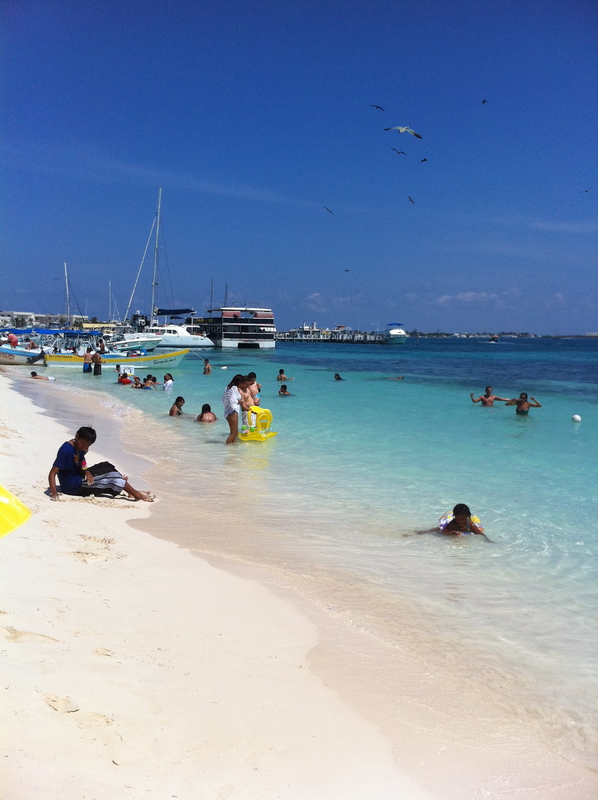 Great day trip on a Catamaran over to Isla Mujeres. It ended up being quite a party boat, but the cruise was really beautiful. The white sand and the turquoise water are amazing here in Cancun! We had a nice lunch, and then walked around the charming little town in Isla Mujeres and visited Playa Norte, a very popular beach. I sure wish I had my SUP board because the paddling would be great here! I love this little laid back town! I think we are going to take another trip over there, this time by ferry, and spend a whole day. We ended the day with a shopping trip to Costco and Walmart, and a relaxing soak in our own jacuzzi. All the comforts of home right here in Cancun! Tomorrow is another day, so stay tuned!